Scarpetta had its moment in 2008, back when “models and bottles” were a thing, and flashy, high-end dining was de rigueur. Since then, Chef Scott Conant has moved on to other projects like guest judging for Chopped, and the trend of low-key, farm-to-table dining has relegated the archaic opulence of Scarpetta to the sidelines. On a recent visit to Scarpetta, I was surprised to see that the restaurant was still doing very well for itself. It always amazes me that there exists a market of people who actually find dining in the Meatpacking district enjoyable. But what’s really sustaining this restaurant is the famous spaghetti with tomato and basil. It happened to be on the Restaurant Week menu, and of course, this being the restaurant’s signature dish, I had to order it. It’s impressive that this spaghetti, which is quite simple in its approach, is so good. These days we expect so much more oomph from our pasta, beef ragu this or duck fat that, that we forget that sometimes less is more. Especially when the tomatoes are this fresh and the basil speaks so loud and clear. You can really appreciate the naturally sweet, herbal flavors without the distractions of other bells and whistles. What I really love about the sauce is how thick and pulpy it is. It coats the al dente noodles more like a ketchup so that none of that farm fresh flavor is lost in any bite, and each strand is equally delicious as the last. And of course, the buttery undertones add a nice, opulent touch that elevate this childhood classic to its refined Meatpacking self. 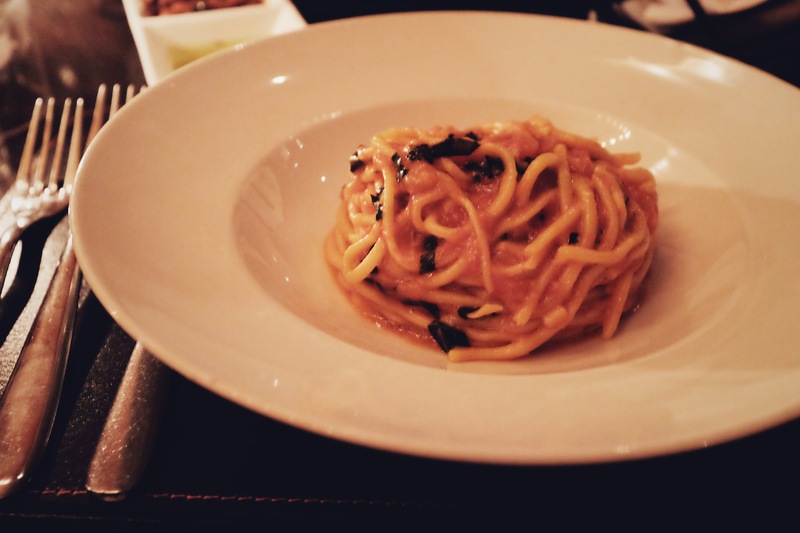 Scarpetta is no one-trick pony, its other pasta dishes are also quite strong. 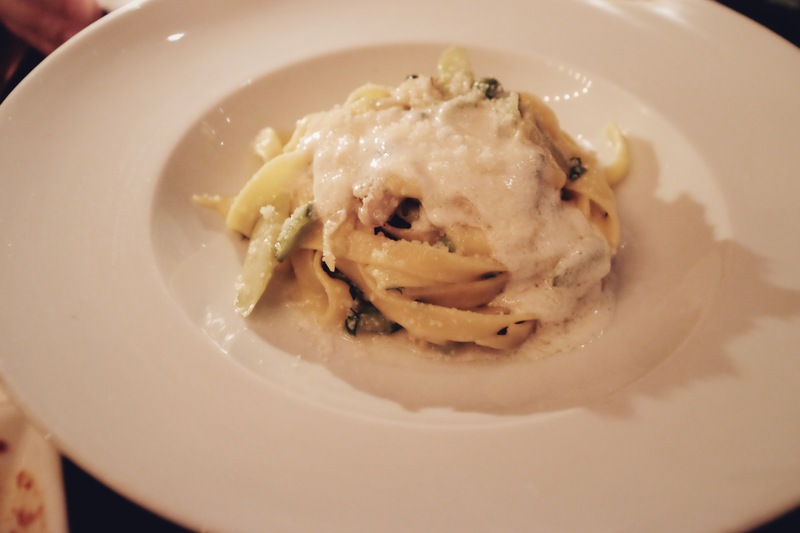 We tried the tagliatelle, a gorgeous plate of peas, asparagus and mushrooms that tasted like a hop and a skip through a spring garden. In case all this talk of hopping and skipping sound a little too light for you, rest assured that the goat crema will keep you grounded and pleasantly full. 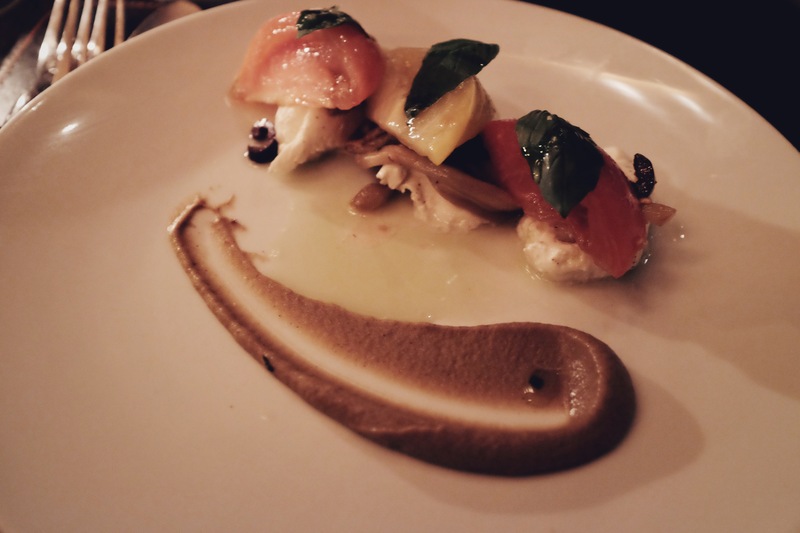 Scarpetta is a place to indulge, so flavors always tend towards the rich and decadent. 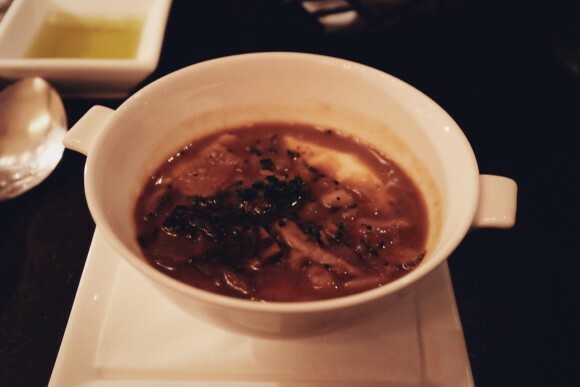 One appetizer that fully embraced the theme of excess was the creamy mushroom polenta, another signature dish. It arrived in a very small bowl, and at first I was a little outraged by the size, but then one spoonful nearly did me in–that bite was filled to the brim with all sorts of earthy, savory and creamy, and I really had to pace myself to finish the whole thing. The burrata was a lighter option, with the pretty white dollops of cheese and colorful tomato slices looking like edible paint on an artist’s palette. It was perfectly fine, but I’ve had much better burrata elsewhere, in which the soft, creamy essence was exploited much more effectively. When it came for dessert, we ordered the coconut panna cotta and the nutella mousse. 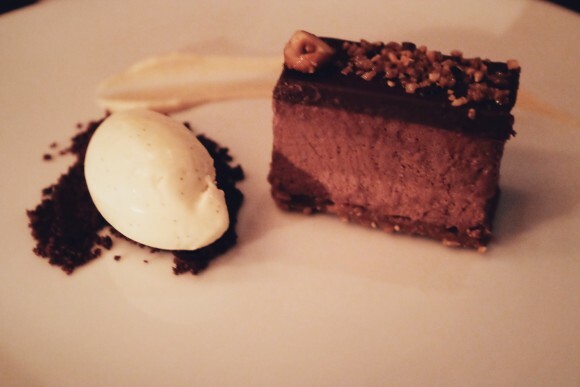 The nutella mousse essentially tasted like Ferrero Rocher on a plate, which is a compliment, as I can never say no to that hazelnut truffle wrapped up in gold. 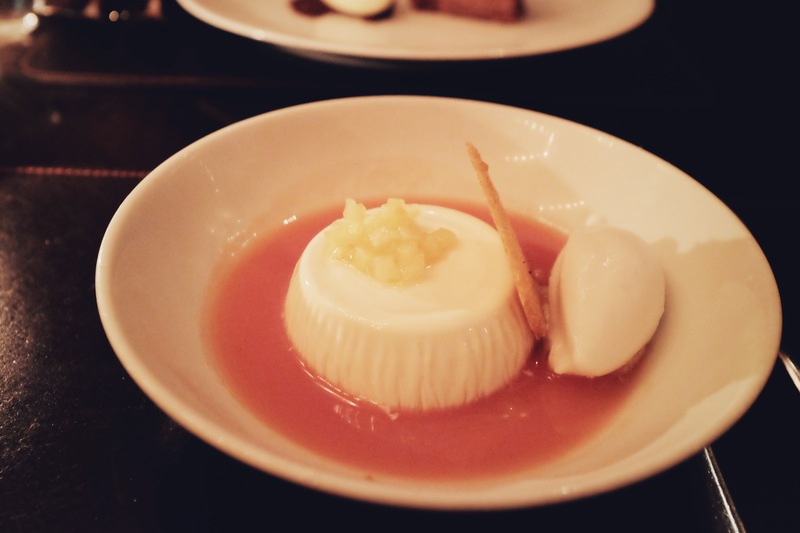 I was a little skeptical of the coconut panna cotta, as the tropical influences were quite out of character for a menu that was so clearly Italian, but somehow it worked. The coconut and guava were subtle enough to give the panna cotta some flavor without turning into some tiki bar mess. But really, it wouldn’t have mattered if the desserts blew it out of the water or not, all you’ll remember is how good that spaghetti was. It’s like everyone remembers who won the gold, but never the silver or bronze, and that spaghetti is Scarpetta’s golden medal.